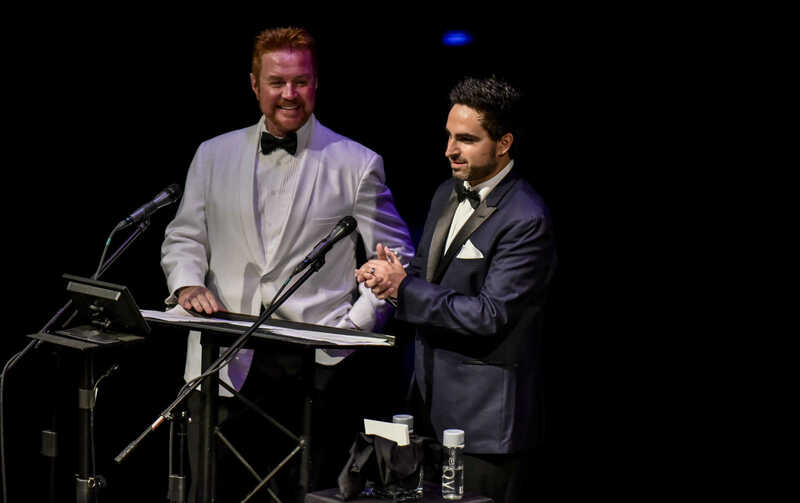 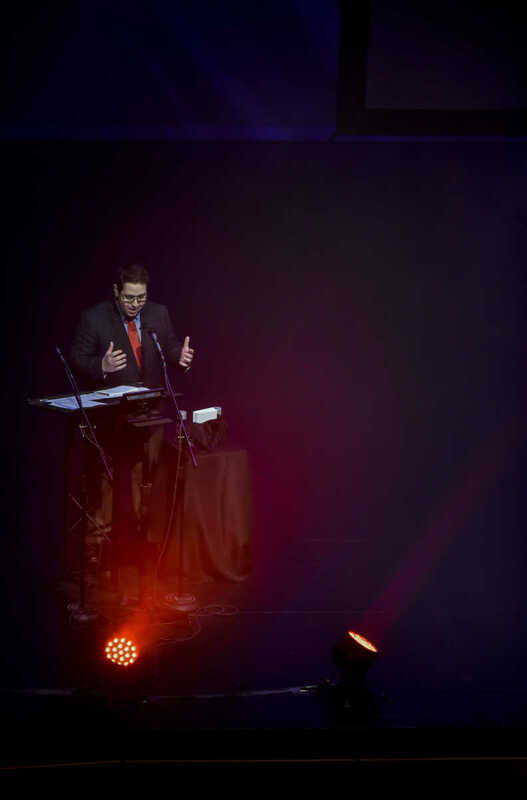 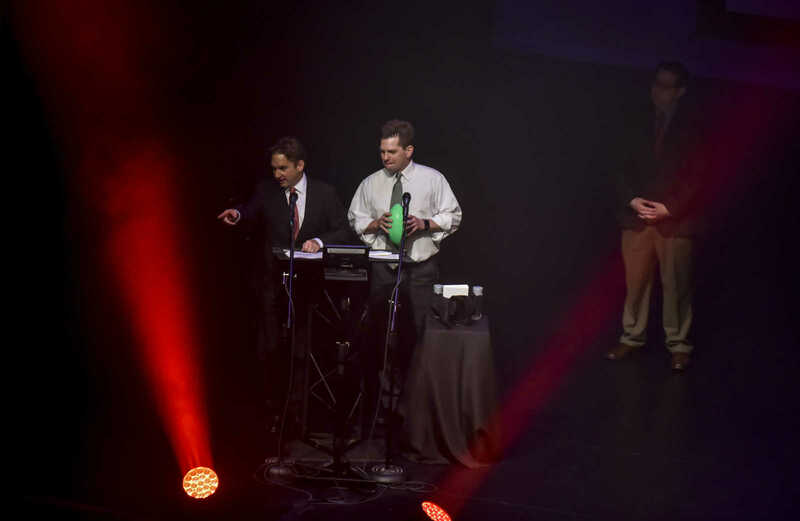 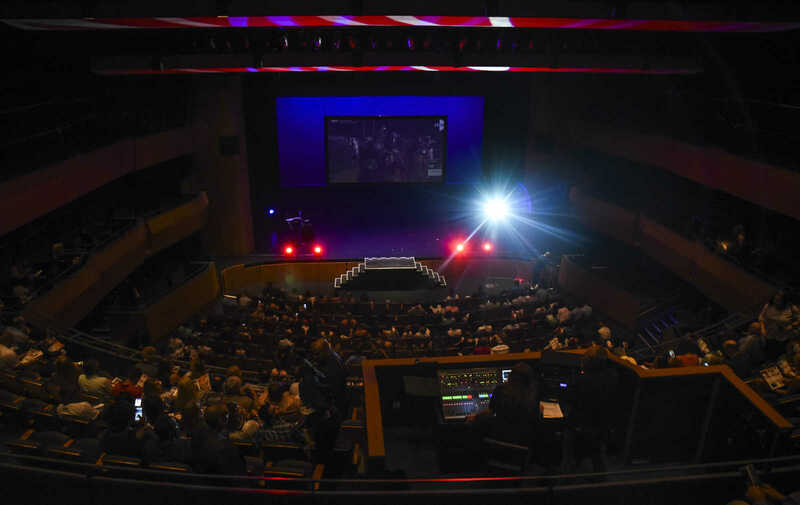 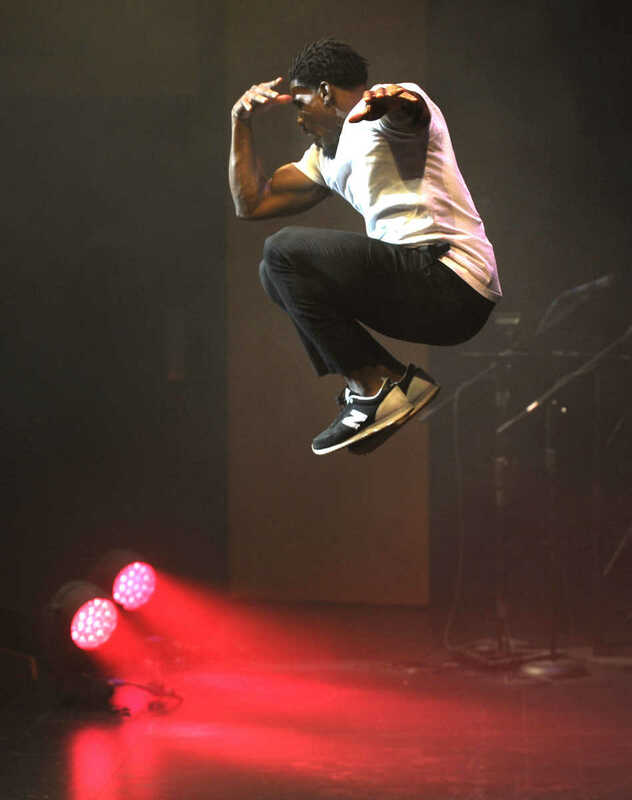 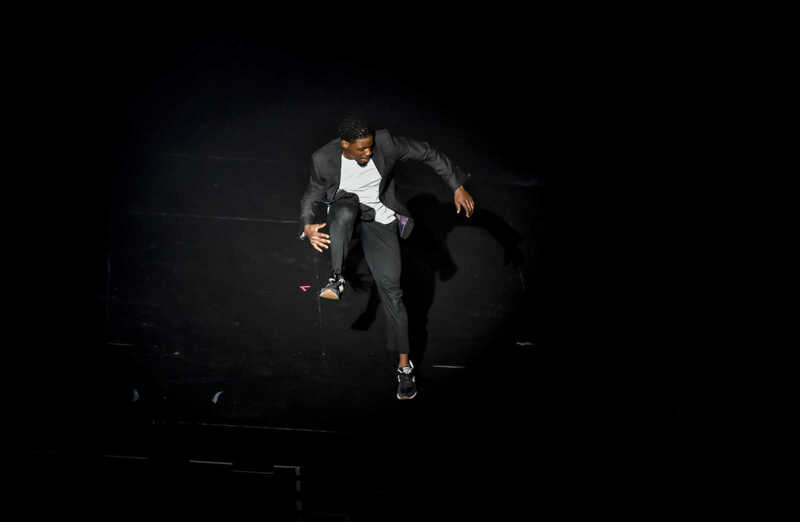 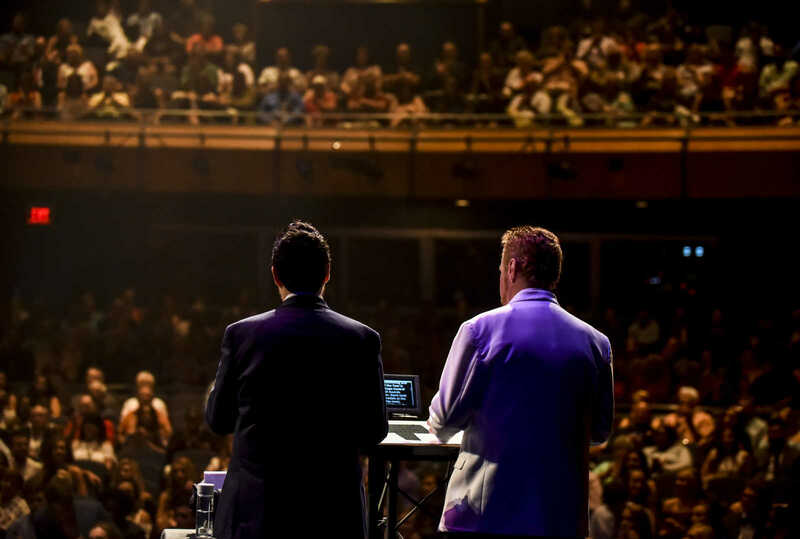 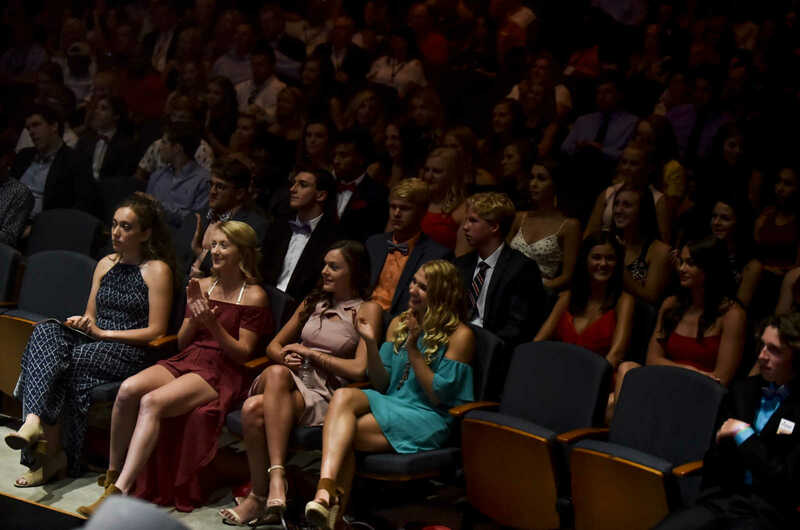 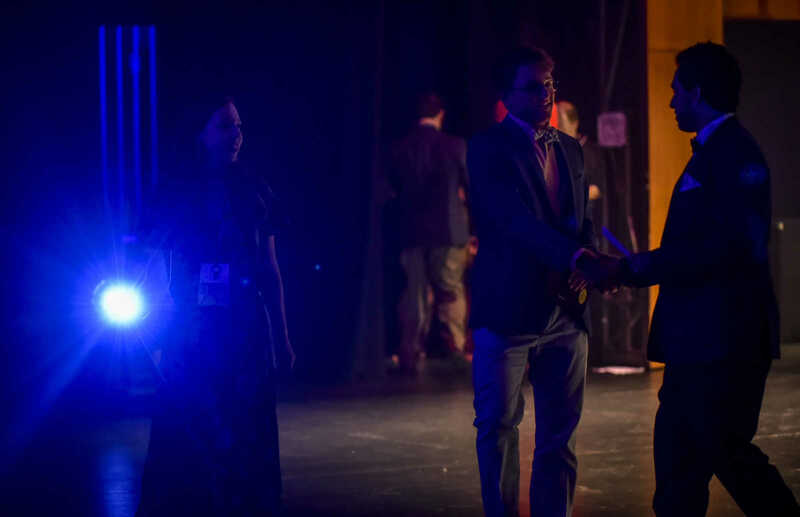 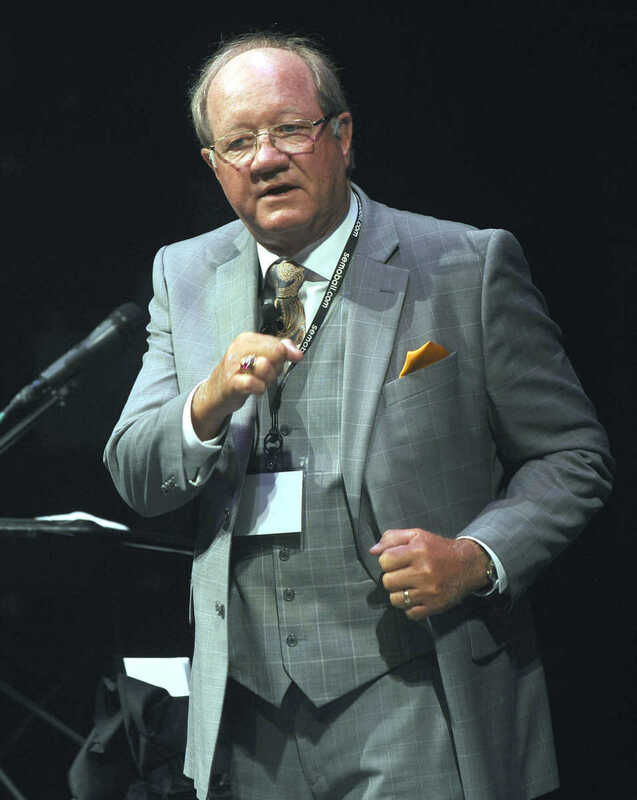 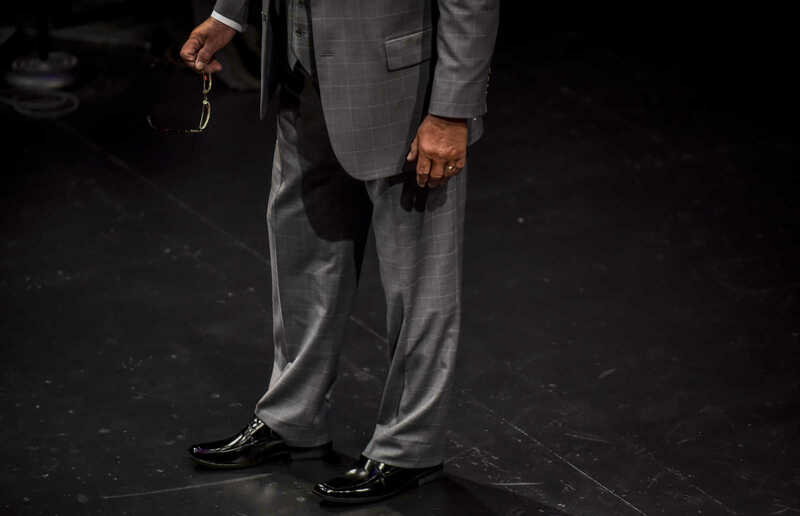 The 2018 Semoball Awards Saturday, July 14, 2018 at Southeast Missouri State University's River Campus in Cape Girardeau. 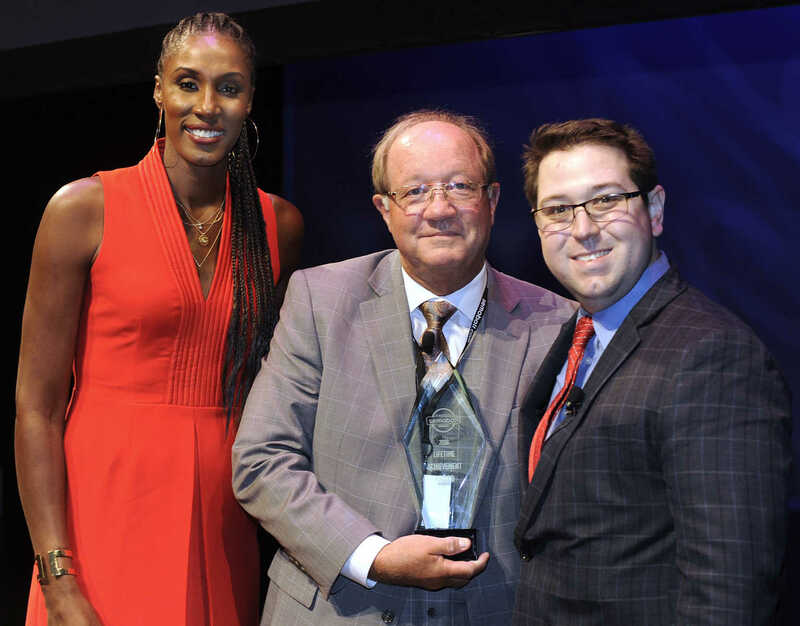 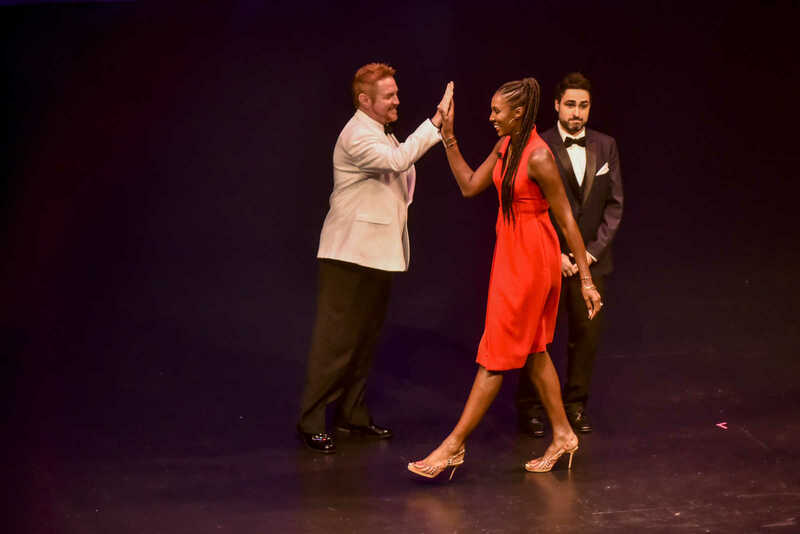 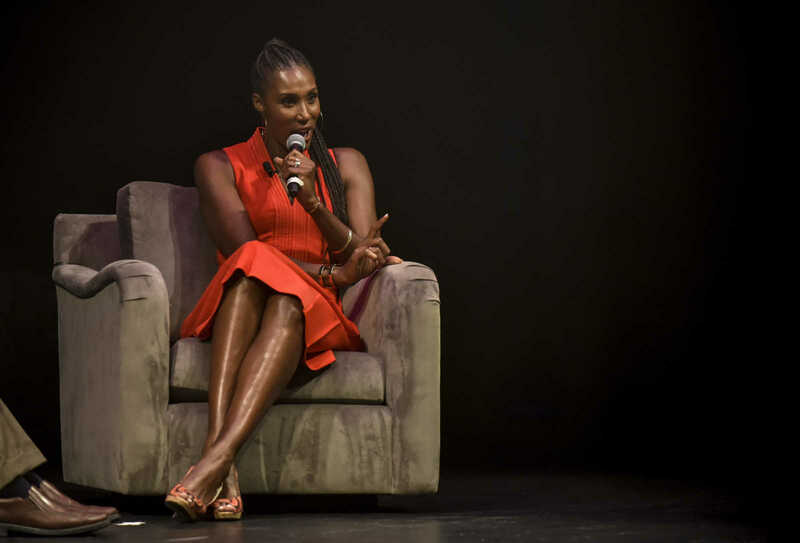 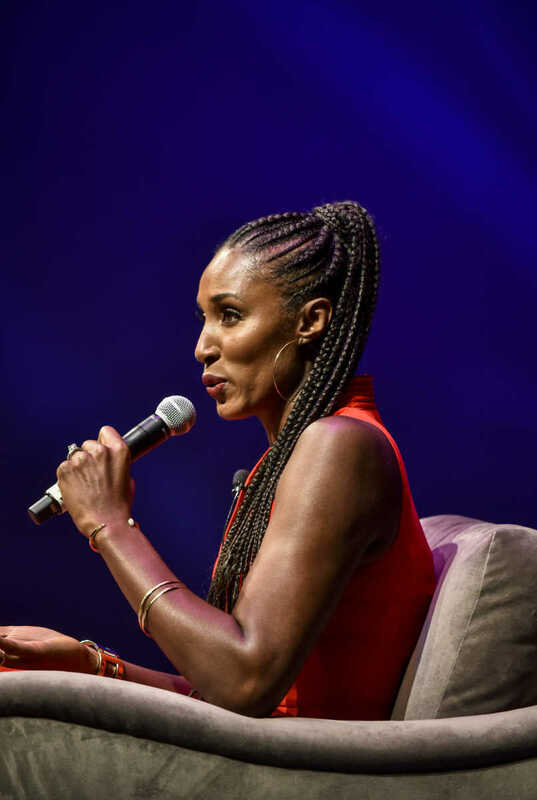 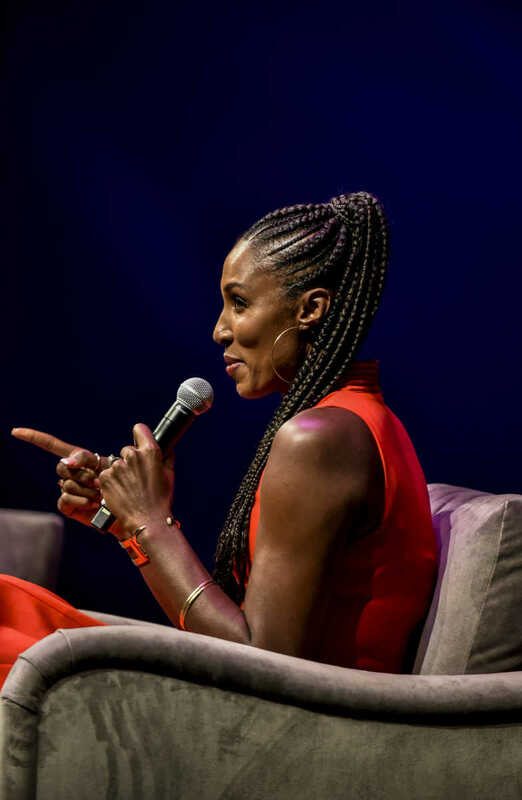 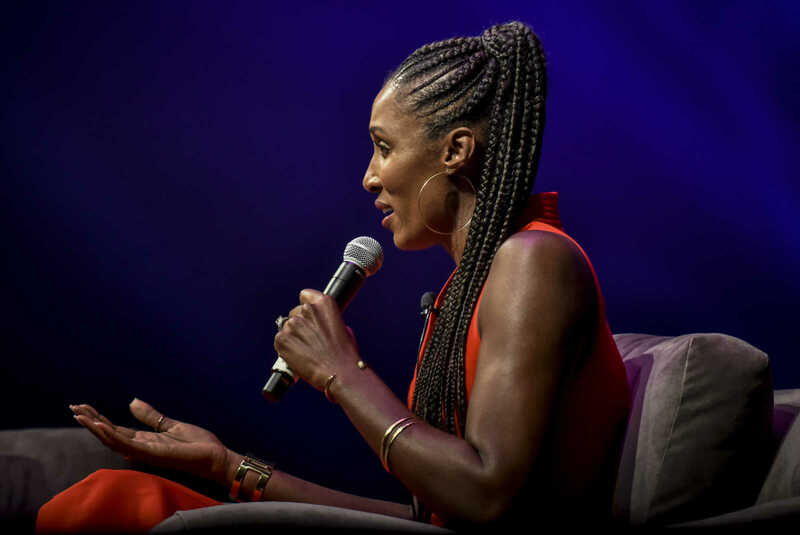 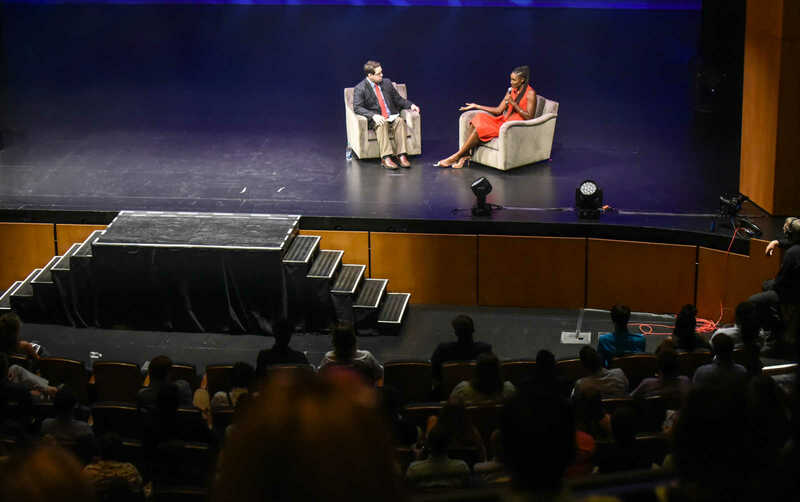 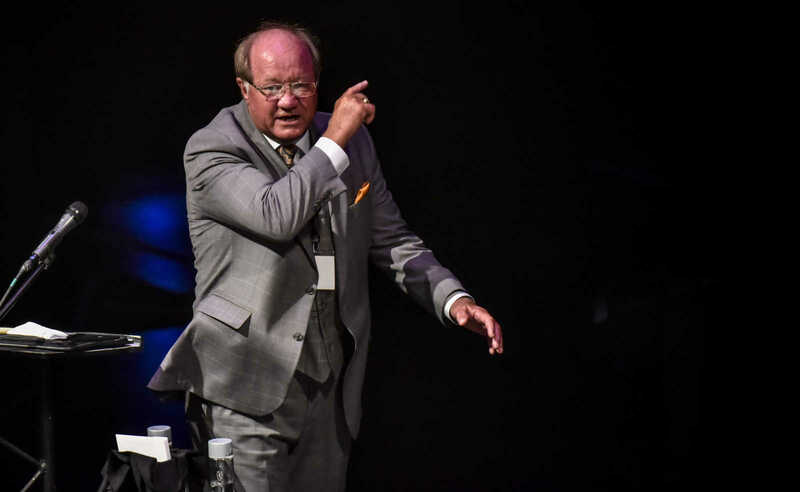 Terry Kitchen receives the Lifetime Achievement Award from Lisa Leslie and Lucas Presson at the Semoball Awards Saturday, July 14, 2018 at the River Campus in Cape Girardeau. 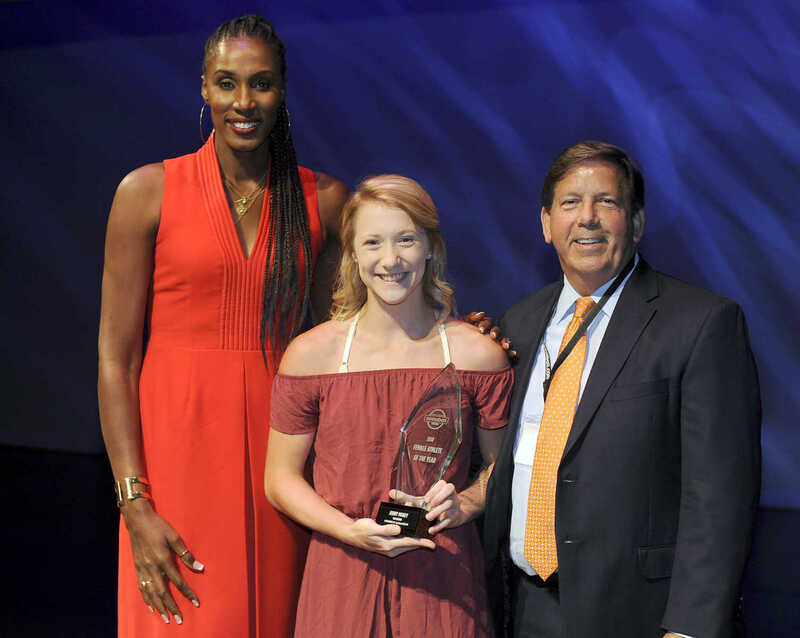 Paige Eddington of Doniphan receives the Crader Distributing and your local STIHL dealers Softball Athlete of the Year award from Lisa Leslie, left, and Brad Crader of Crader Distributing at the Semoball Awards Saturday, July 14, 2018 at the River Campus in Cape Girardeau. 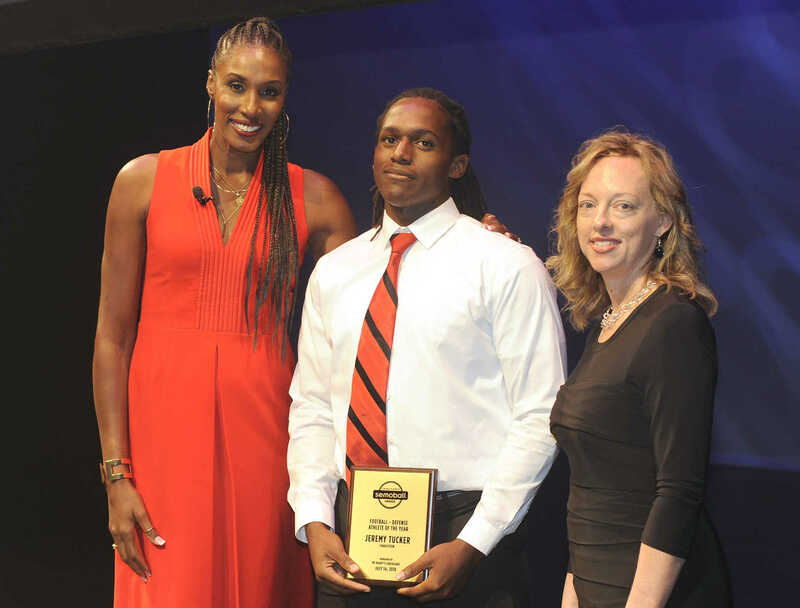 Jeremy Tucker of Charleston receives the My Daddy's Cheesecake Football Athlete of the Year - Defense award from Lisa Leslie, left, and Anna Phillips of My Daddy's Cheesecake at the Semoball Awards Saturday, July 14, 2018 at the River Campus in Cape Girardeau. 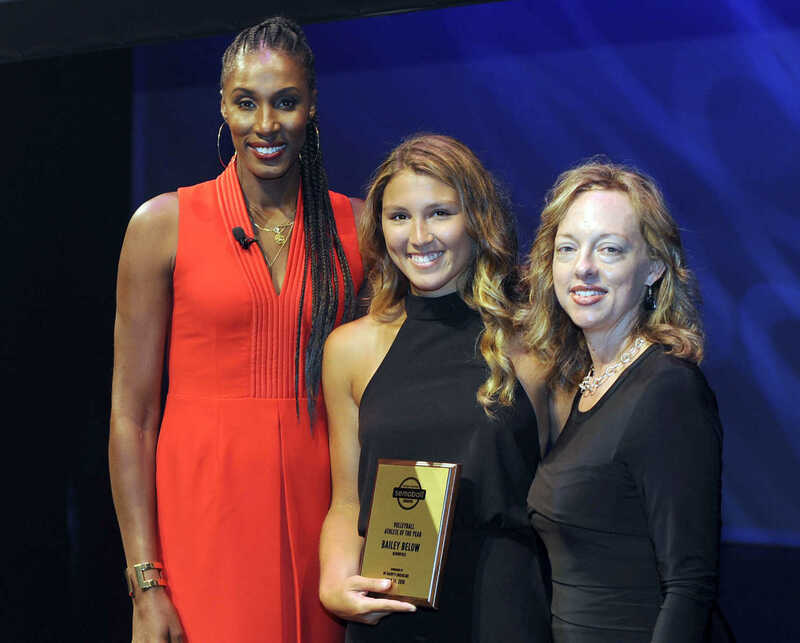 Bailey Below of Bloomfield receives the My Daddy's Cheesecake Volleyball Athlete of the Year award from Lisa Leslie, left, and Anna Phillips of My Daddy's Cheesecake at the Semoball Awards Saturday, July 14, 2018 at the River Campus in Cape Girardeau. 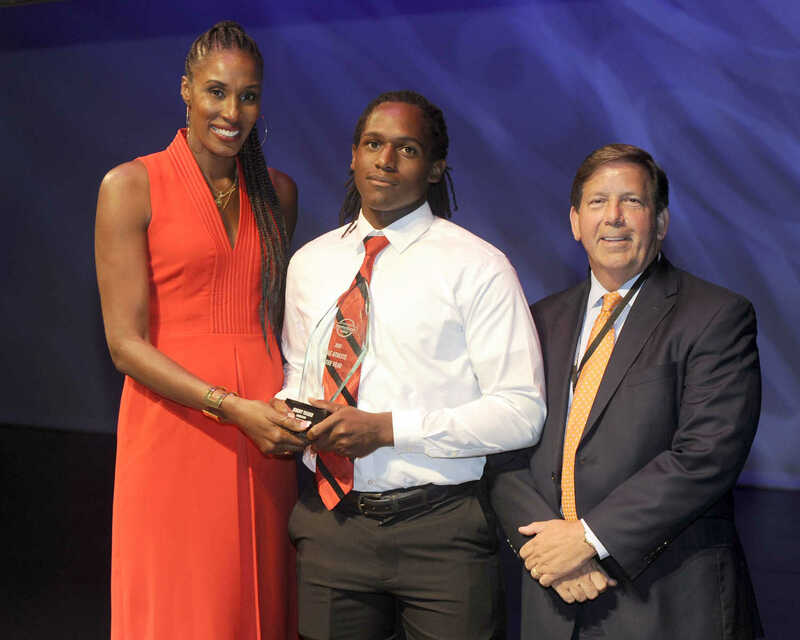 Cooper Callis of Jackson receives The Orthopedic Center of St. Louis Football Athlete of the Year - Offense award from Lisa Leslie, left, and Dr. Lyndon Gross of The Orthopedic Center of St. Louis at the Semoball Awards Saturday, July 14, 2018 at the River Campus in Cape Girardeau. 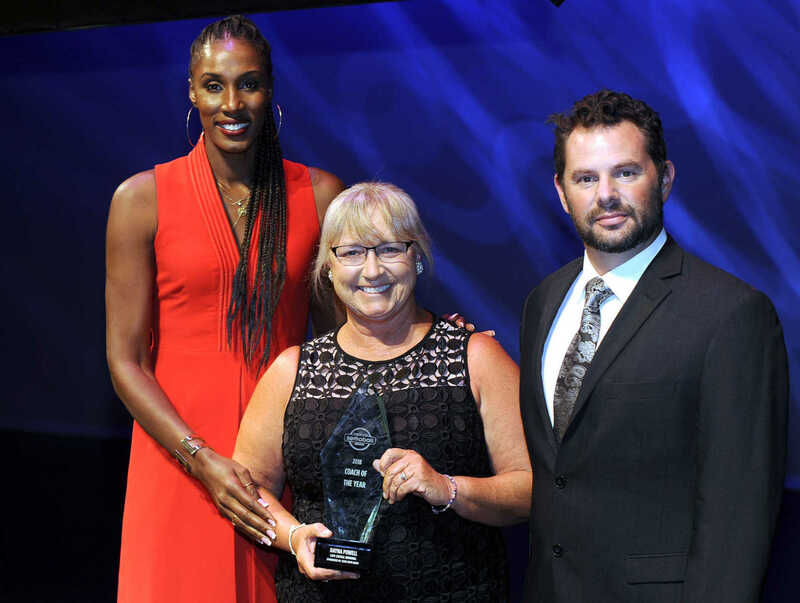 Dee Triplett of Malden receives the 2018 Orthopedic Center of St. Louis Baseball Athlete of the Year award from Lisa Leslie, left, and Dr. Nathan Mall of The Orthopedic Center of St. Louis at the Semoball Awards Saturday, July 14, 2018 at the River Campus in Cape Girardeau. 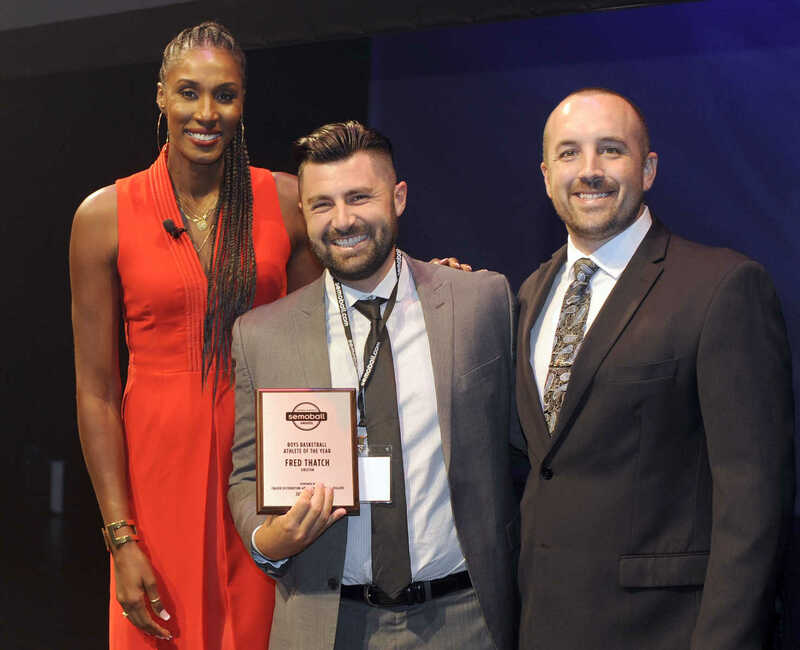 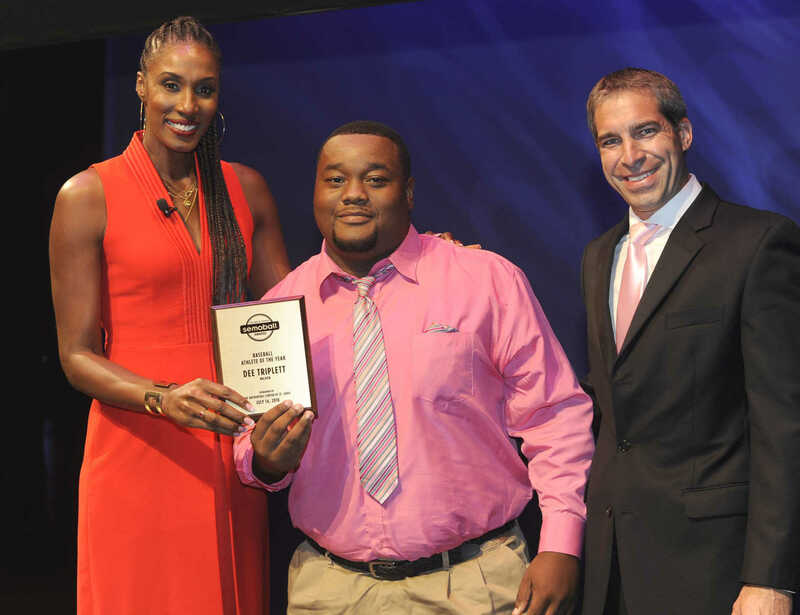 Sikeston assistant basketball coach Matt Johnson accepts on behalf of Fred Thatch of Sikeston the Crader Distributing and your local STIHL dealers Boys Basketball Athlete of the Year award from Lisa Leslie, left, and Brad Crader of Crader Distributing at the Semoball Awards Saturday, July 14, 2018 at the River Campus in Cape Girardeau. 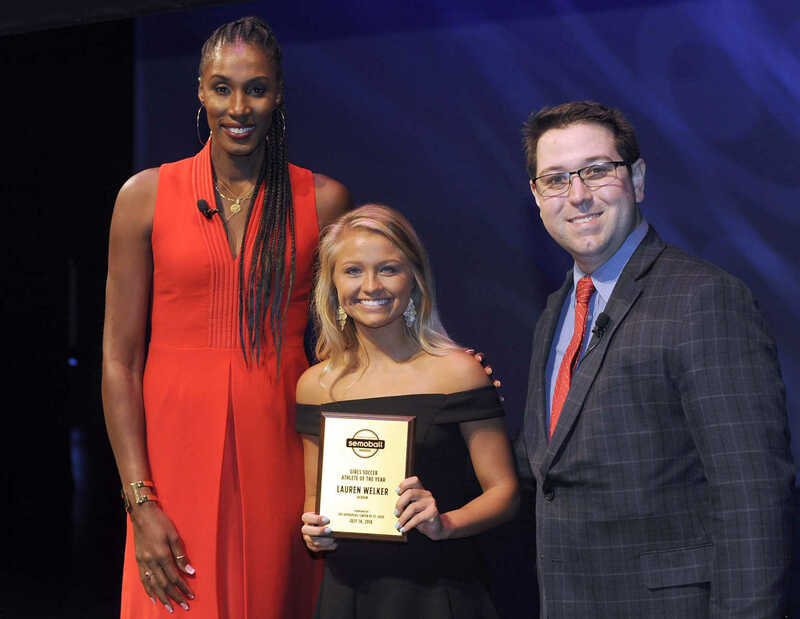 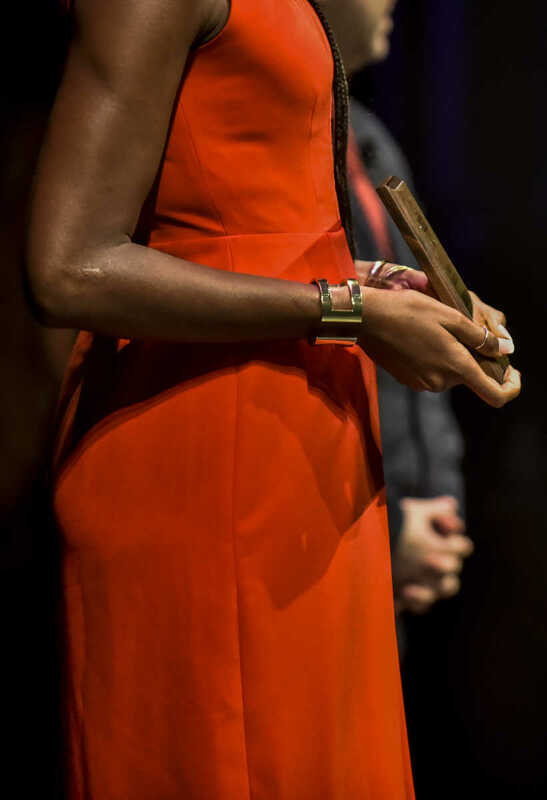 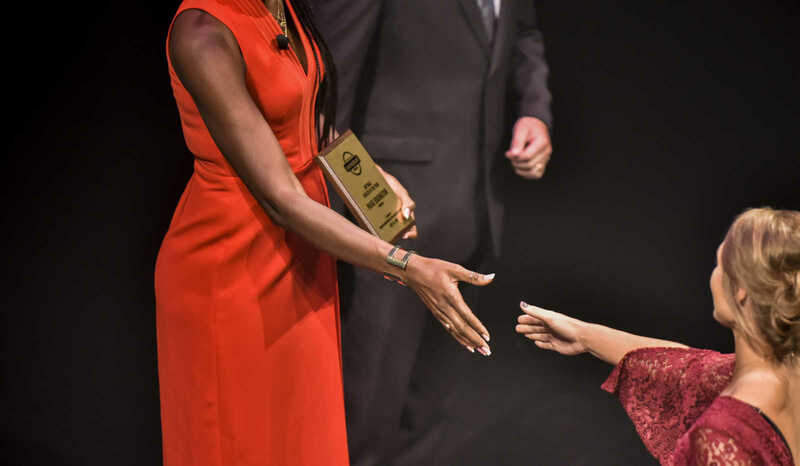 Chaylea Mosby of Dexter receives the Girls Basketball Athlete of the Year award from Lisa Leslie, left, and Lucas Presson at the Semoball Awards Saturday, July 14, 2018 at the River Campus in Cape Girardeau. 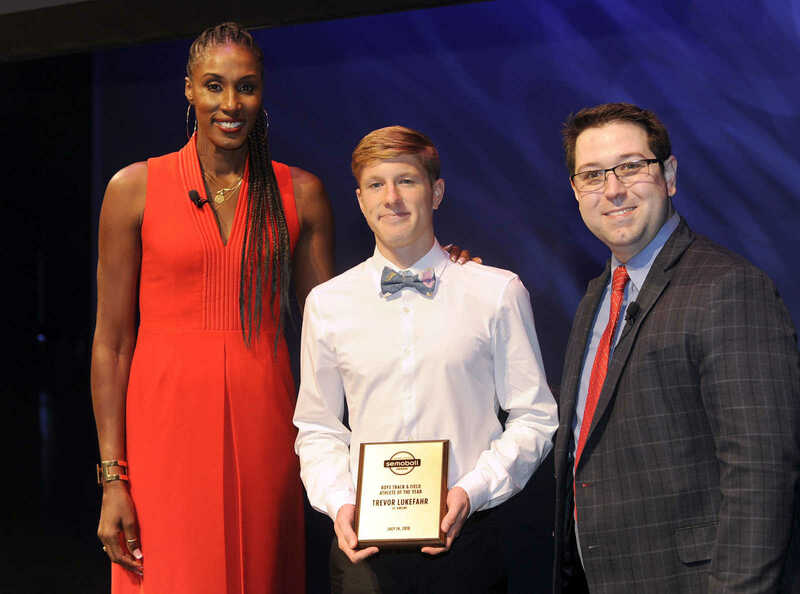 Caleb Cornelius of Saxony Lutheran receives the Boys Cross Country Athlete of the Year award from Lisa Leslie, left, and Lucas Presson at the Semoball Awards Saturday, July 14, 2018 at the River Campus in Cape Girardeau. 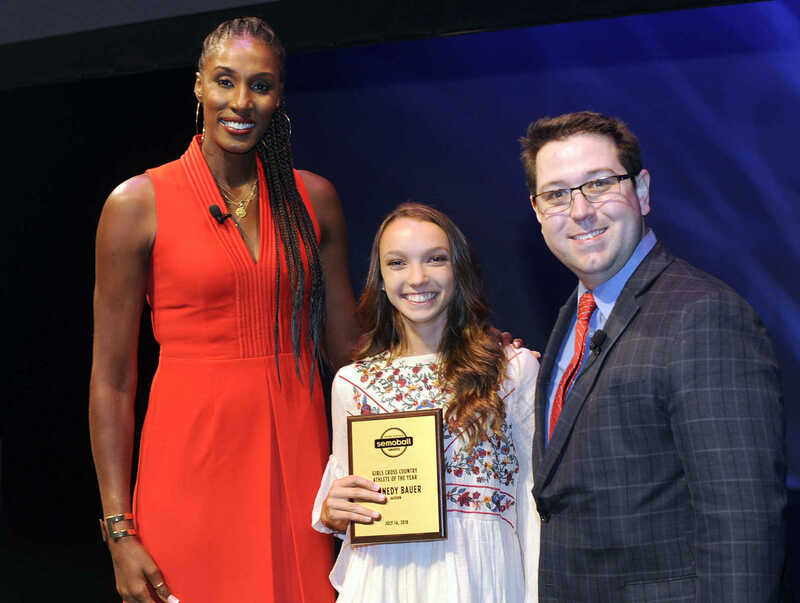 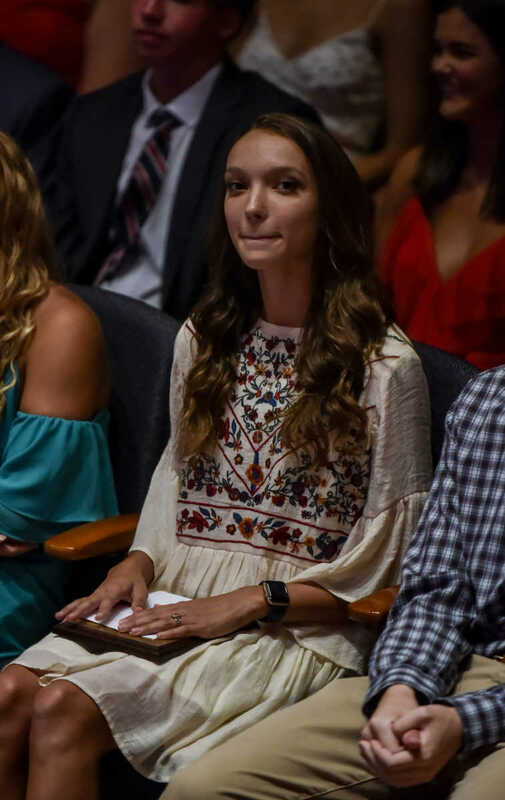 Kennedy Bauer of Jackson receives the Girls Cross Country Athlete of the Year award from Lisa Leslie, left, and Lucas Presson at the Semoball Awards Saturday, July 14, 2018 at the River Campus in Cape Girardeau. 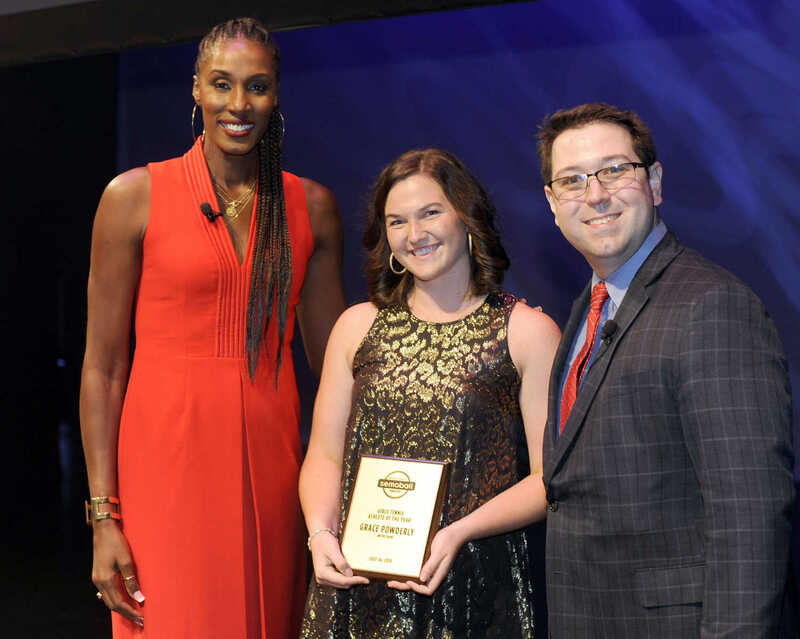 Sarah Bell of Notre Dame receives the Golf Athlete of the Year award from Lisa Leslie, left, and Lucas Presson at the Semoball Awards Saturday, July 14, 2018 at the River Campus in Cape Girardeau. 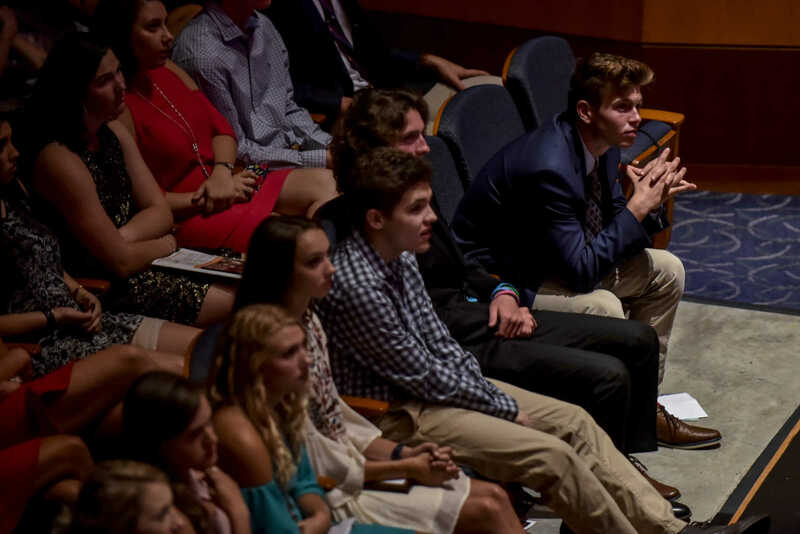 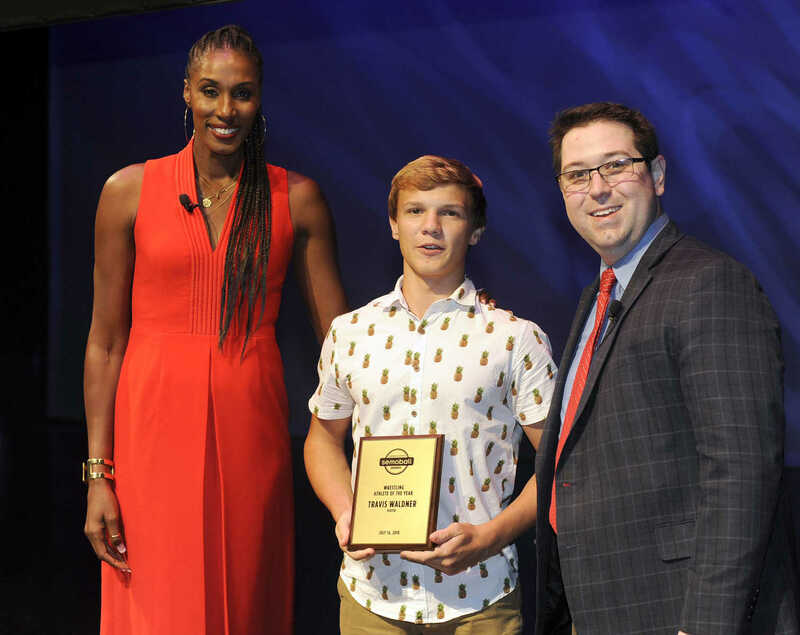 Desmond Morris of Jackson receives the Boys Soccer Athlete of the Year award from Lisa Leslie, left, and Lucas Presson at the Semoball Awards Saturday, July 14, 2018 at the River Campus in Cape Girardeau. 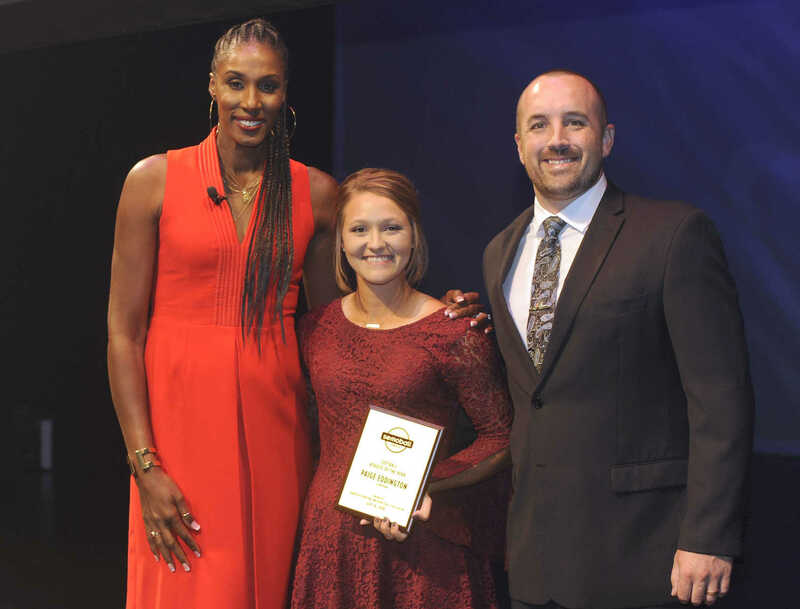 Lauren Welker of Jackson receives the Girls Soccer Athlete of the Year award from Lisa Leslie, left, and Lucas Presson at the Semoball Awards Saturday, July 14, 2018 at the River Campus in Cape Girardeau. 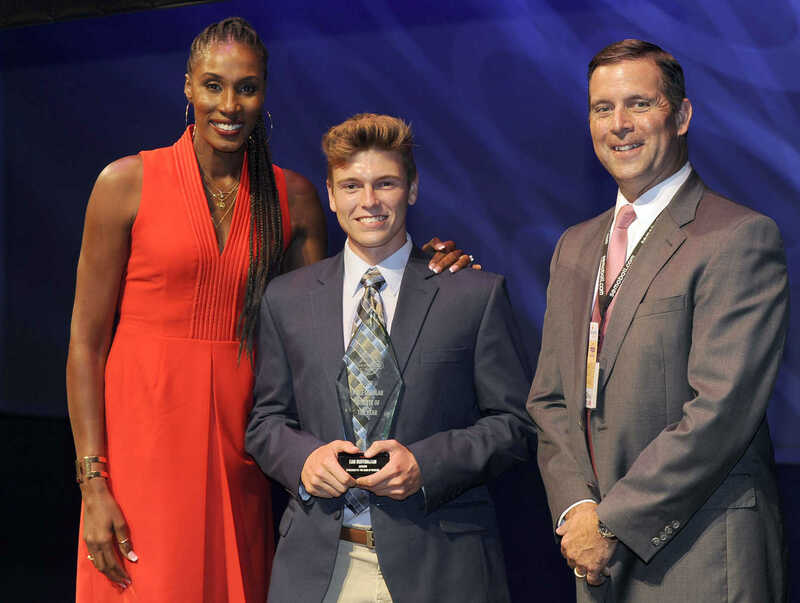 Brogan Davis of Cape Central receives the Boys Swimming and Diving Athlete of the Year award from Lisa Leslie, left, and Lucas Presson at the Semoball Awards Saturday, July 14, 2018 at the River Campus in Cape Girardeau. 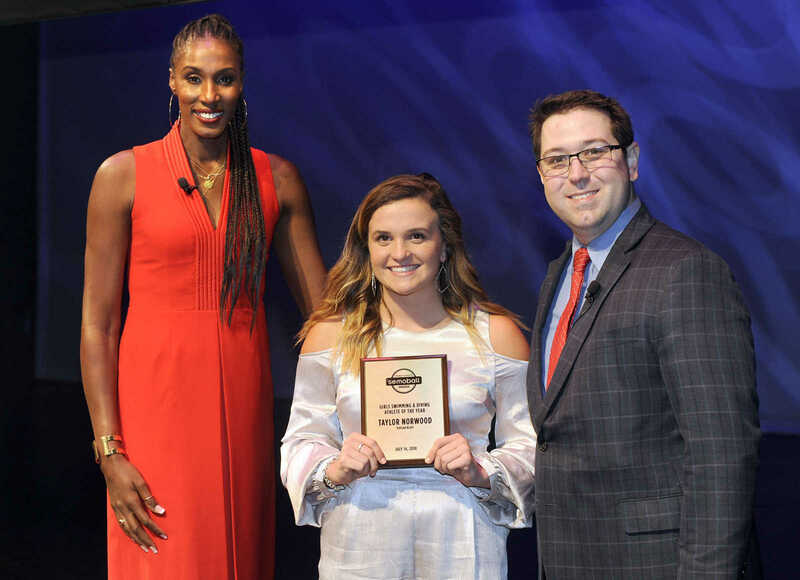 Taylor Norwood of Poplar Bluff receives the Girls Swimming and Diving Athlete of the Year award from Lisa Leslie, left, and Lucas Presson at the Semoball Awards on Saturday, July 14, 2018 in Cape Girardeau. 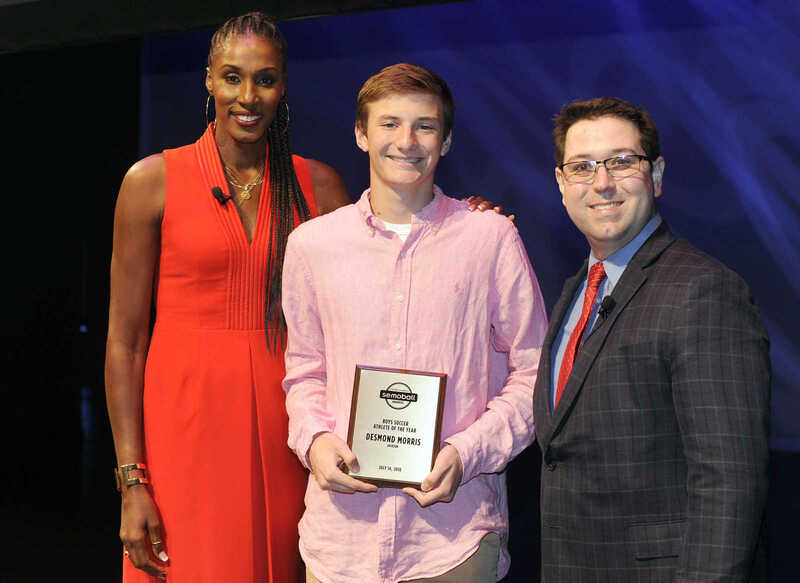 Brett Johnson of Sikeston receives the Boys Tennis Athlete of the Year award from Lisa Leslie, left, and Lucas Presson at the Semoball Awards Saturday, July 14, 2018 at the River Campus in Cape Girardeau. 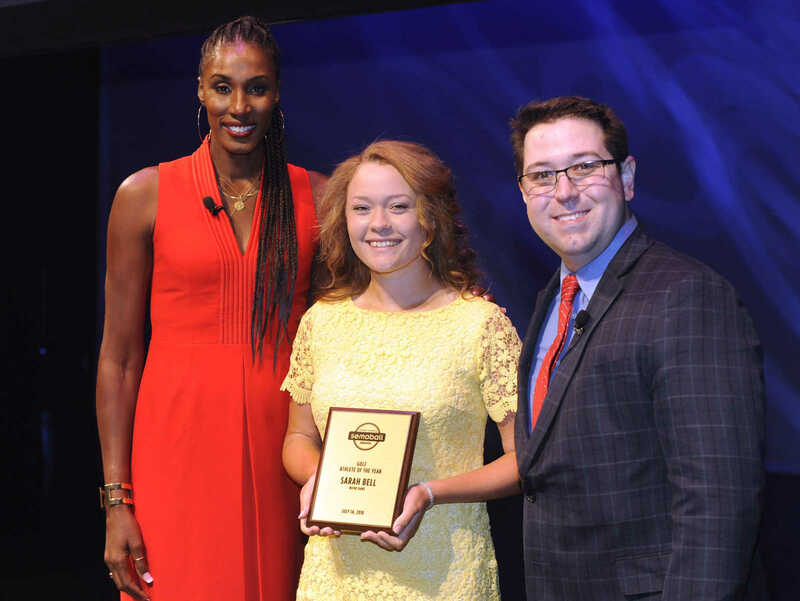 Grace Powderly of Notre Dame receives the Girls Tennis Athlete of the Year award from Lisa Leslie, left, and Lucas Presson at the Semoball Awards Saturday, July 14, 2018 at the River Campus in Cape Girardeau. 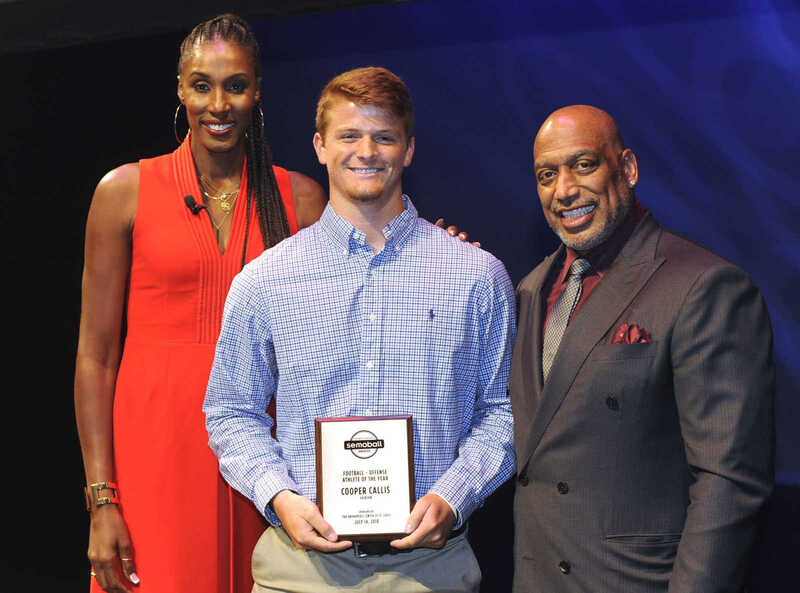 Trevor Lukefahr of St. Vincent receives the Boys Track and Field Athlete of the Year award from Lisa Leslie, left, and Lucas Presson at the Semoball Awards Saturday, July 14, 2018 at the River Campus in Cape Girardeau. 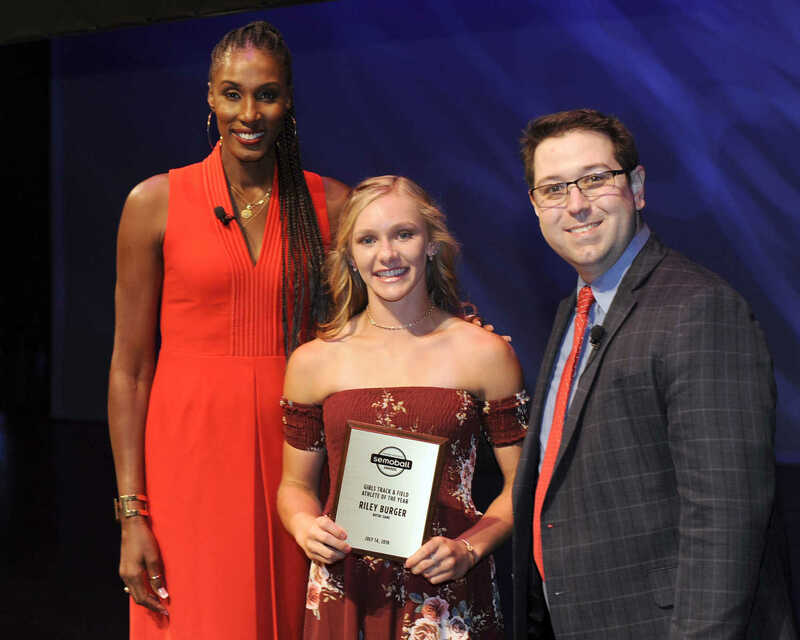 Riley Burger of Notre Dame receives the Girls Track and Field Athlete of the Year award from Lisa Leslie, left, and Lucas Presson at the Semoball Awards Saturday, July 14, 2018 at the River Campus in Cape Girardeau. 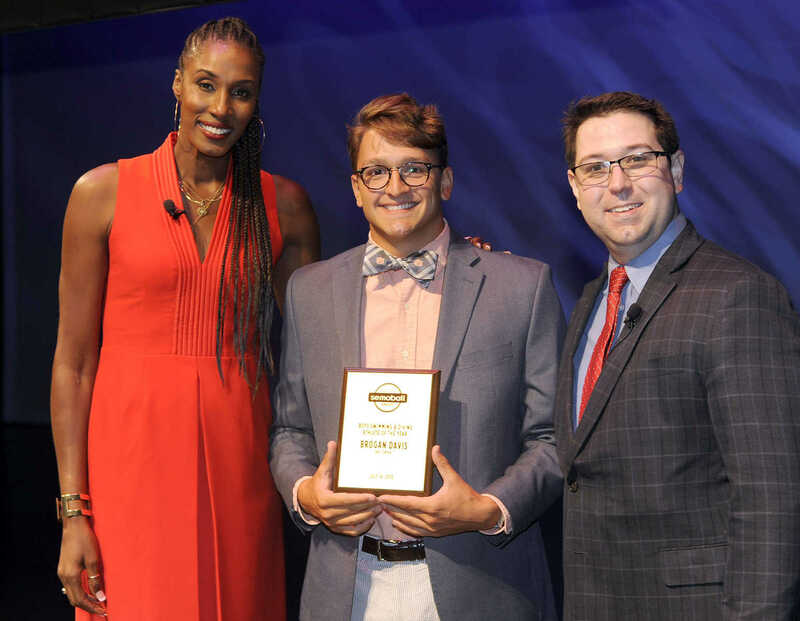 Travis Walkner of Dexter receives the Wrestling Athlete of the Year award from Lisa Leslie, left, and Lucas Presson at the Semoball Awards Saturday, July 14, 2018 at the River Campus in Cape Girardeau. 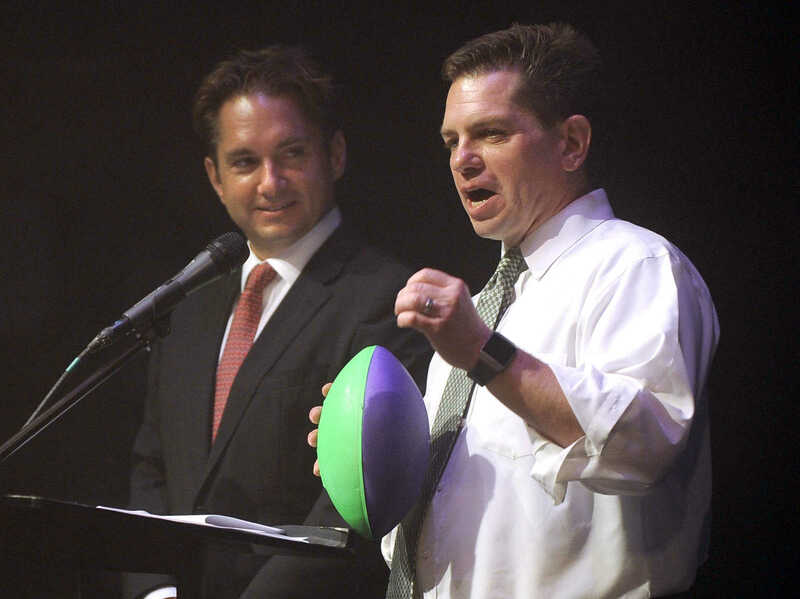 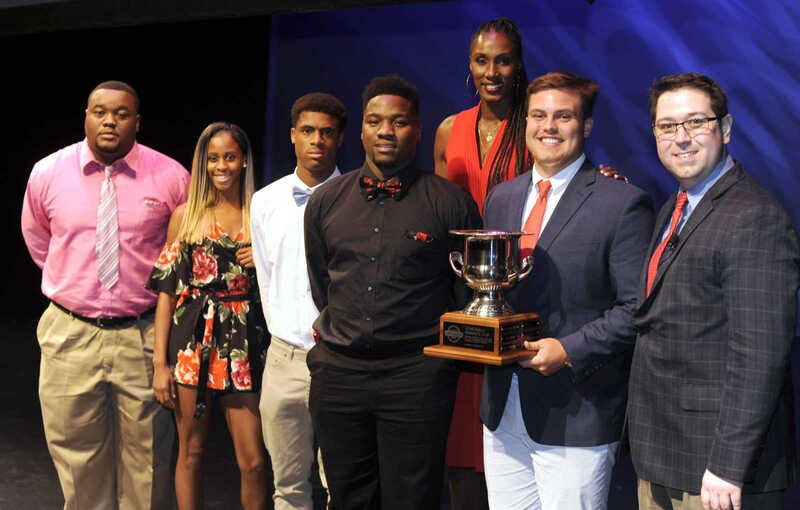 The Semoball Cup is presented to Malden High School at the Semoball Awards Saturday, July 14, 2018 at the River Campus in Cape Girardeau. 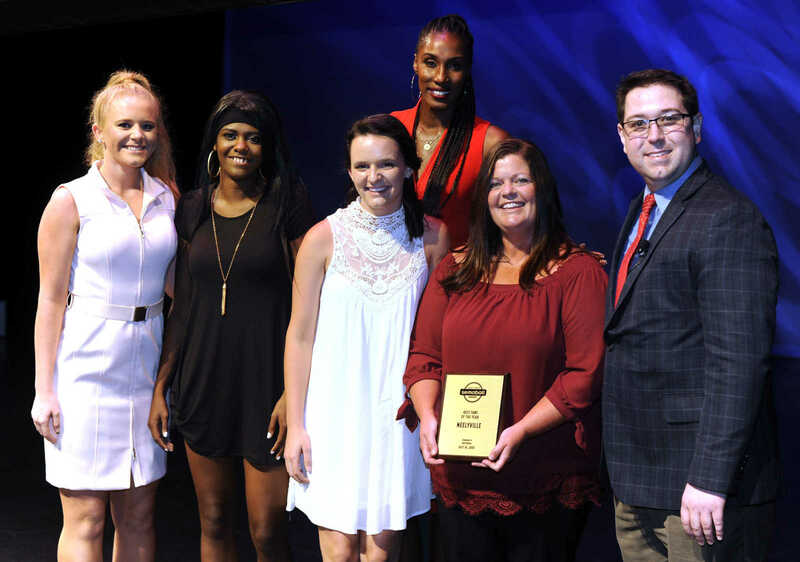 The Best Fans award is presented to Neelyville, and accepted by girls basketball coach Becky Hale, at the Semoball Awards Saturday, July 14, 2018 at the River Campus in Cape Girardeau. 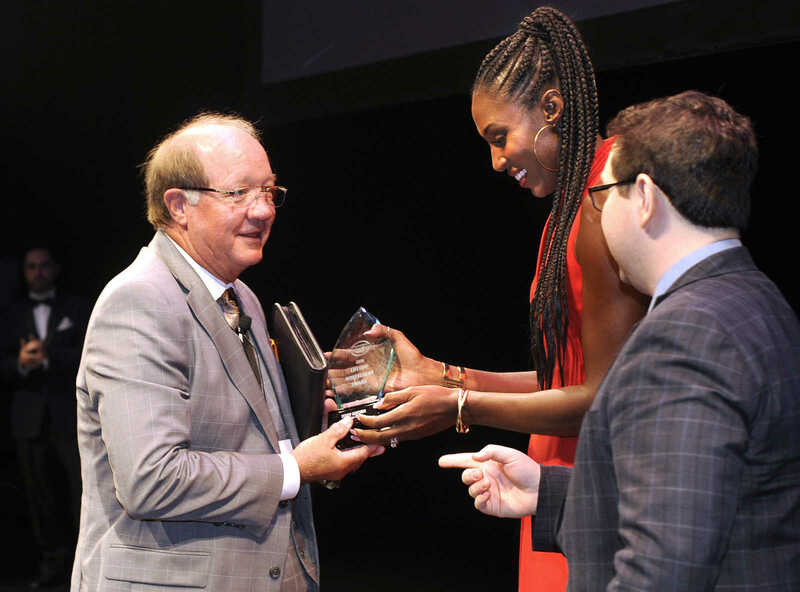 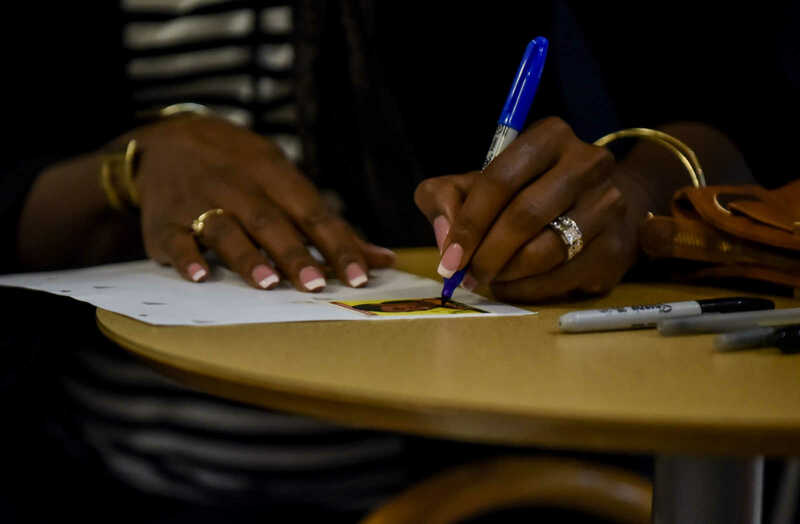 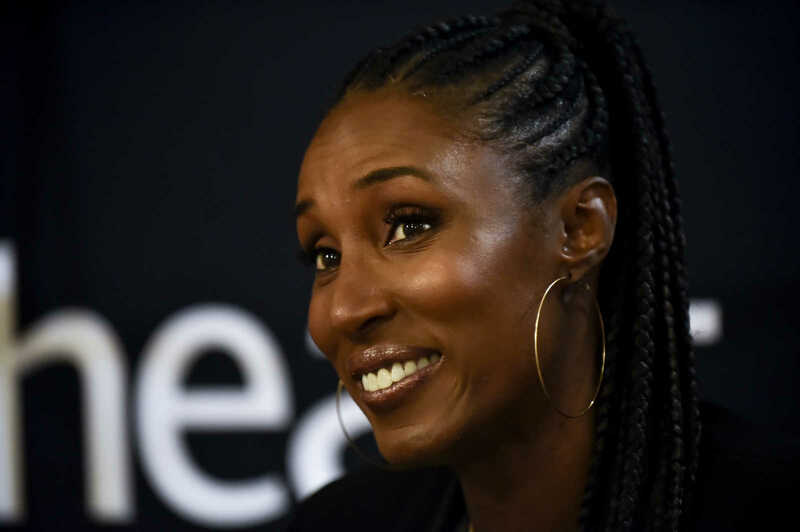 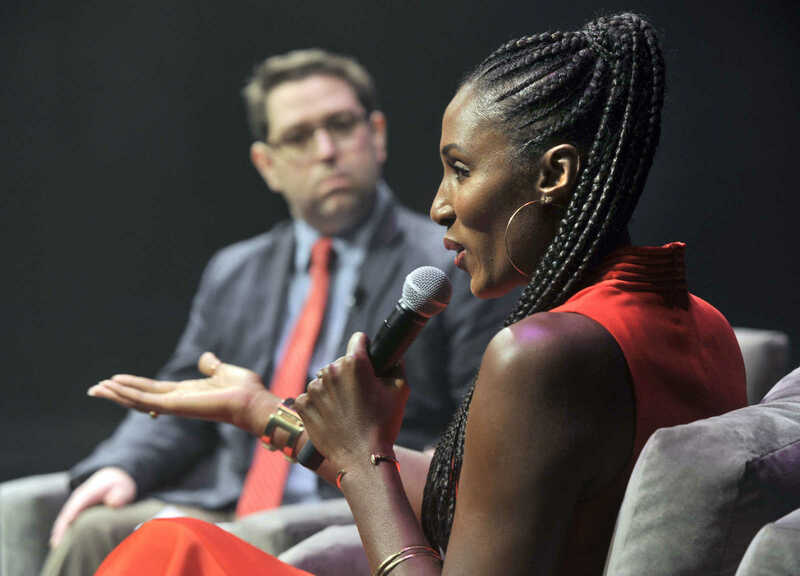 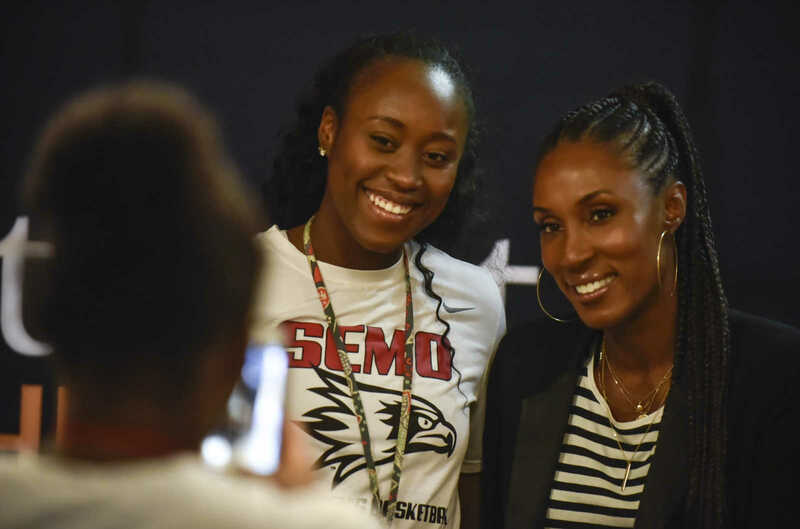 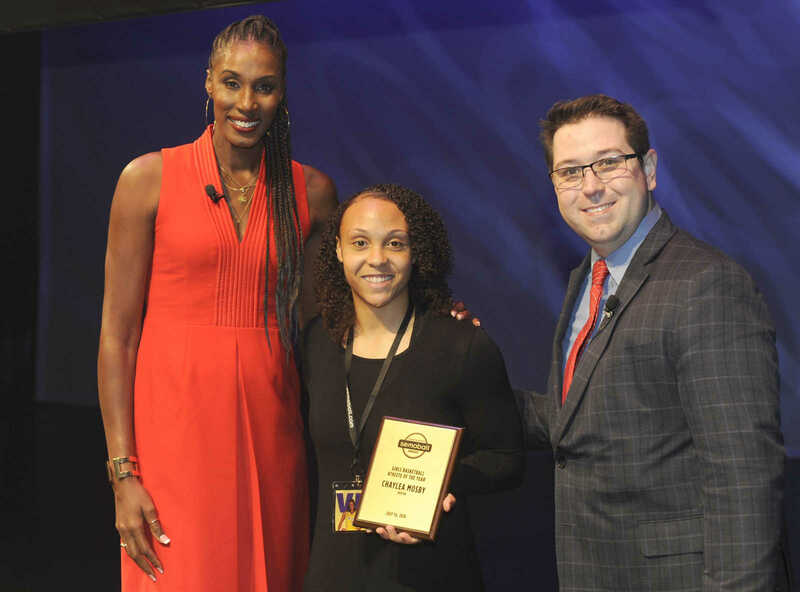 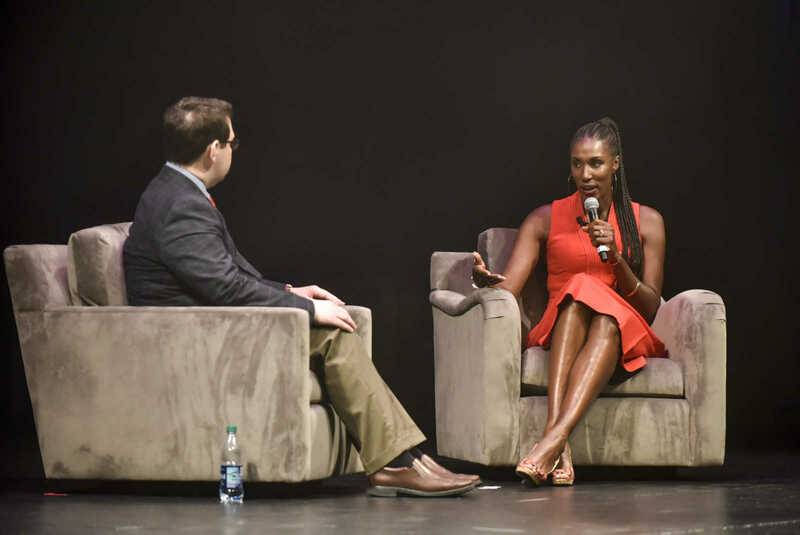 Dayna Powell of Cape Central receives the SEMO ESPN Coach of the Year award from Lisa Leslie, left, and Mike Renick of SEMO ESPN at the Semoball Awards Saturday, July 14, 2018 at the River Campus in Cape Girardeau. 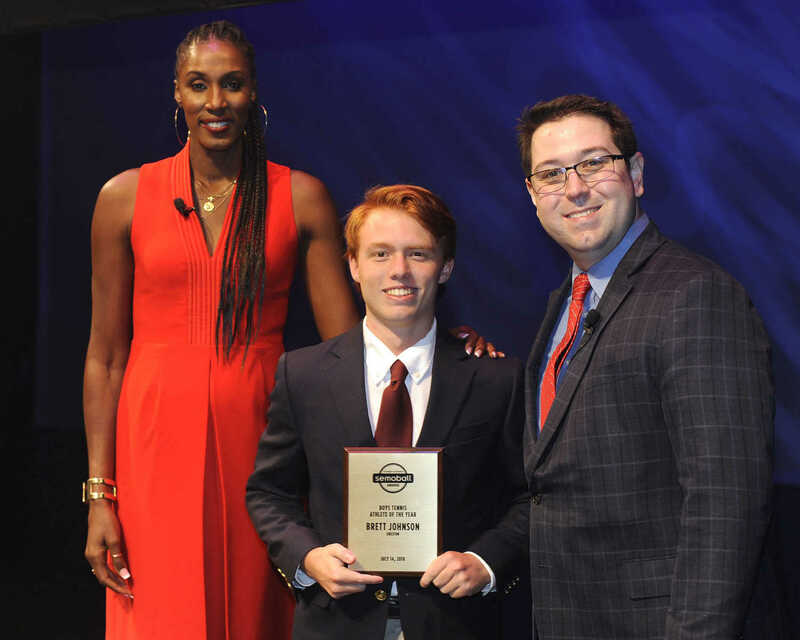 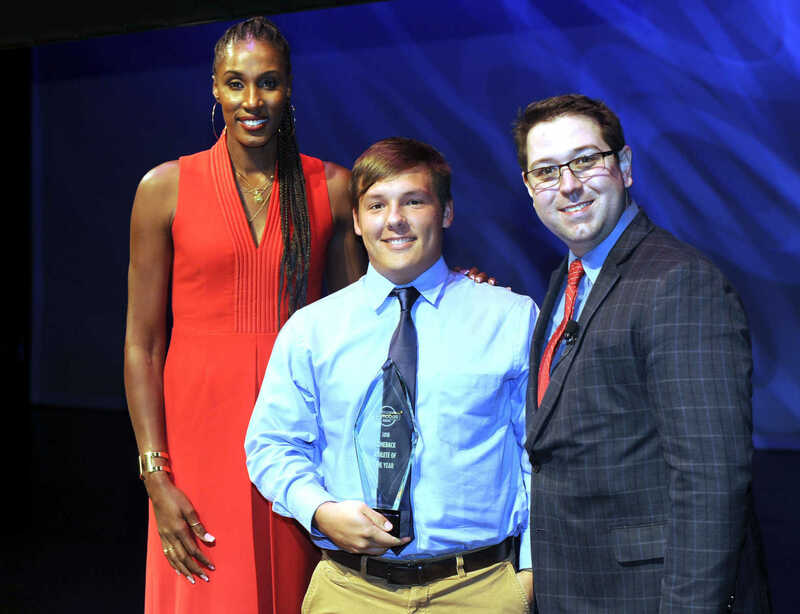 Logan Bell of Poplar Bluff receives the St. Louis CardinalsÊComeback Athlete of the YearÊAward from Lisa Leslie, left, and Lucas Presson, at the Semoball Awards on Saturday, July 14, 2018 in Cape Girardeau. 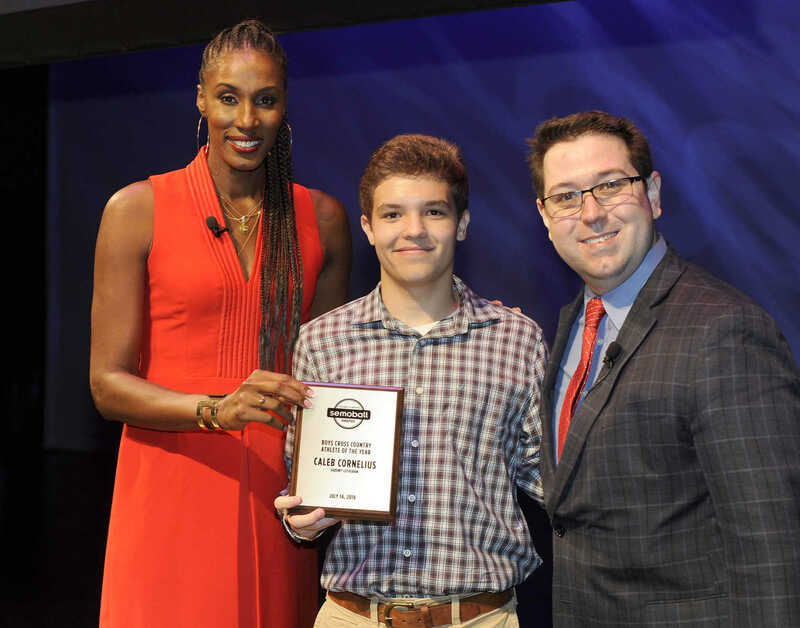 Jeremy Tucker of Charleston receives the Best in Sportsmanship award from Lisa Leslie, left, and Lucas Presson at the Semoball Awards Saturday, July 14, 2018 at the River Campus in Cape Girardeau. 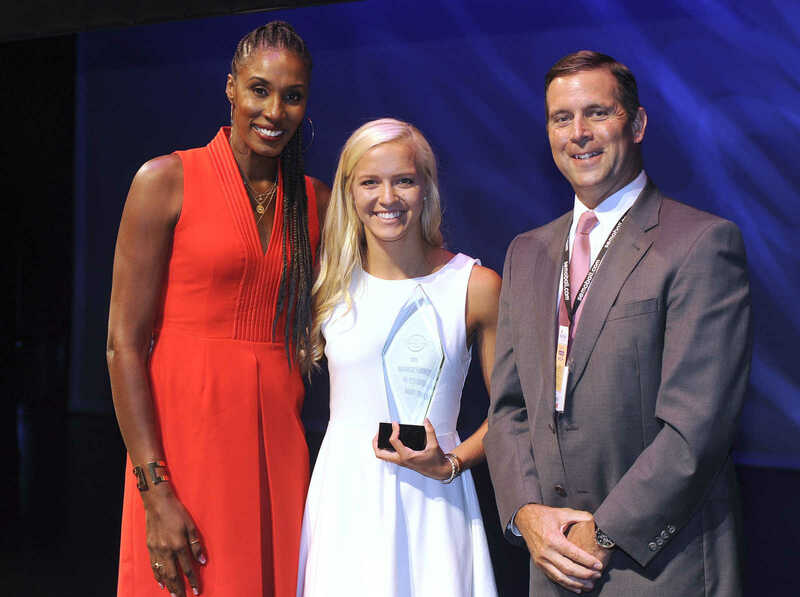 Laurel Mueller of Saxony Lutheran receives The Bank of Missouri Female Scholar Athlete award from Lisa Leslie, left, and Adrian Breen of The Bank of Missouri at the Semoball Awards Saturday, July 14, 2018 at the River Campus in Cape Girardeau. 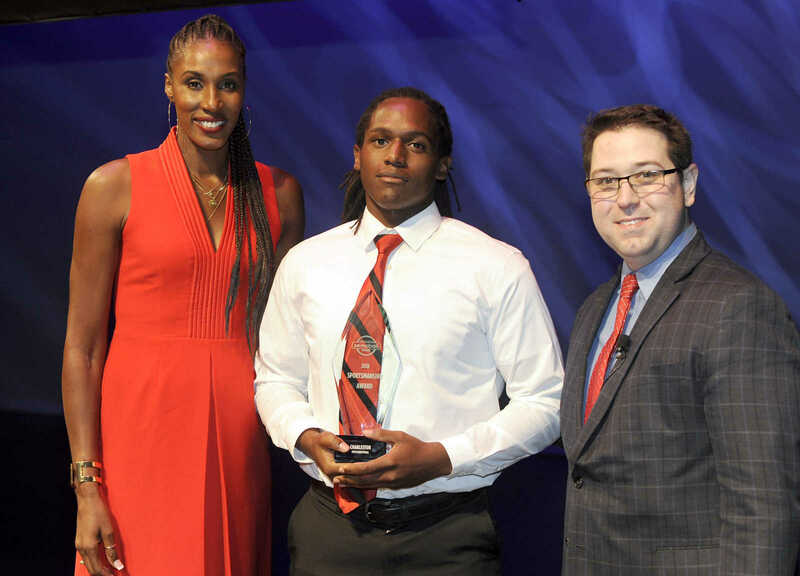 Ean Buffington of Jackson receives The Bank of Missouri Male Scholar Athlete award from Lisa Leslie, left, and Adrian Breen of The Bank of Missouri at the Semoball Awards Saturday, July 14, 2018 at the River Campus in Cape Girardeau. 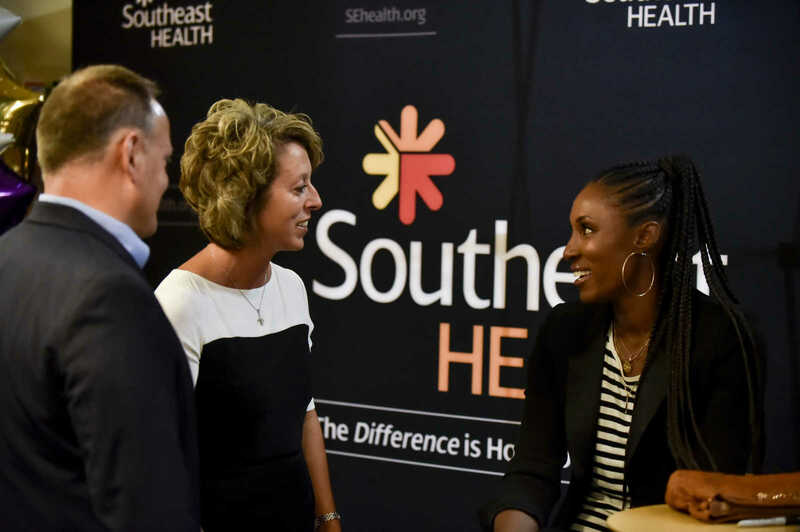 Jennifer Morey of Van Buren receives the Female Athlete of the Year presented by SoutheastHEALTH from Lisa Leslie, left, and Ken Bateman of SoutheastHEALTH at the Semoball Awards Saturday, July 14, 2018 at the River Campus in Cape Girardeau. 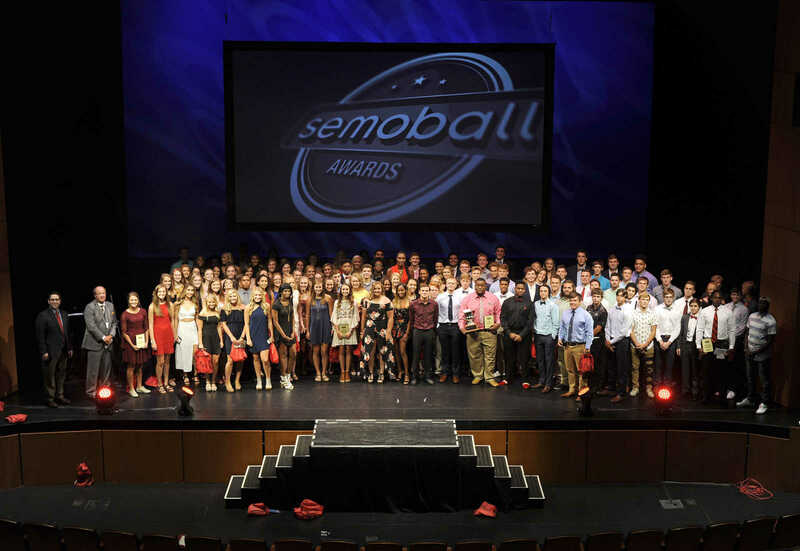 The Semoball Awards nominees pose for a photo Saturday, July 14, 2018 at the River Campus in Cape Girardeau. 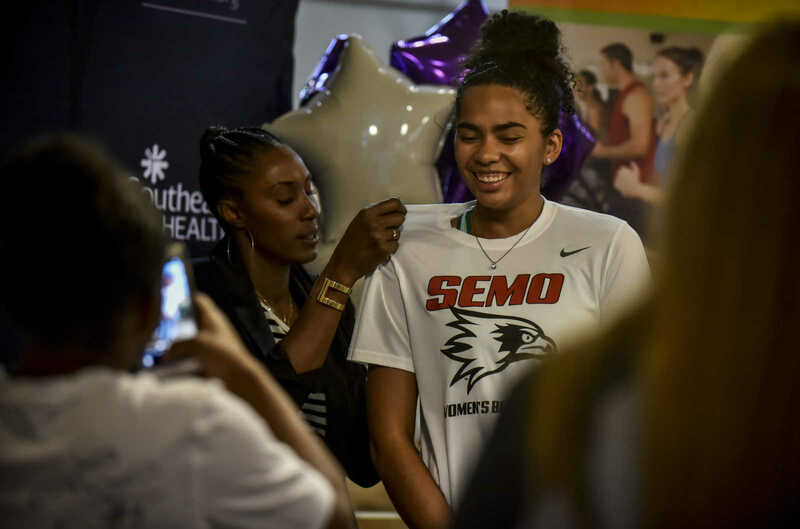 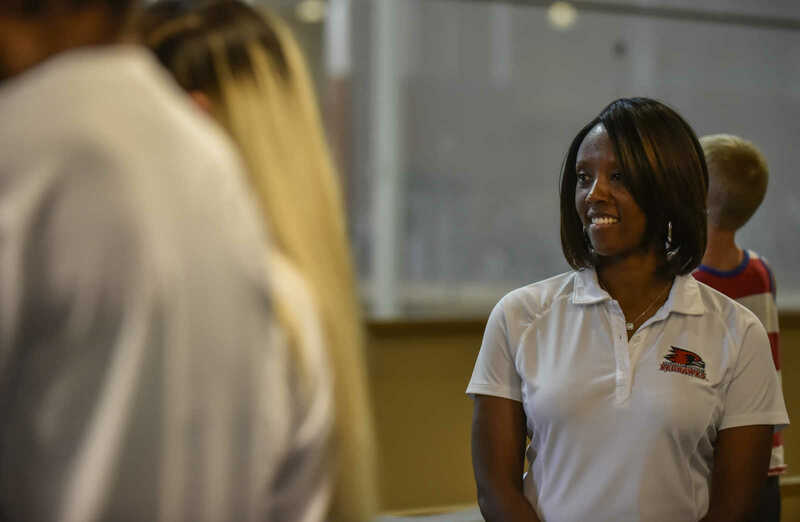 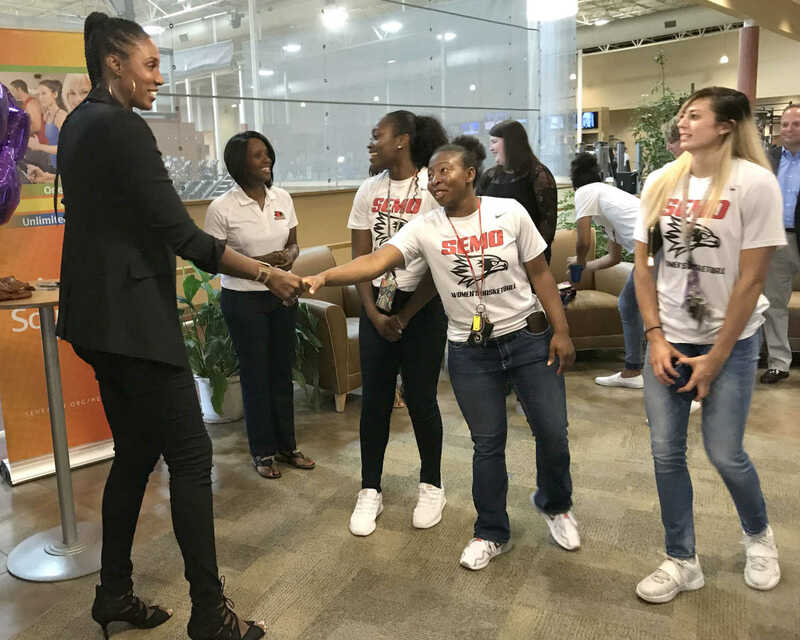 JON K. RUST ~ Southeast Missourian Lisa Lesie meets members of the Southeast Missouri State women's basketball team at HealthPoint Fitness in Cape Girardeau.